This stop was listed in Camperstops Europe as a five euro stopover but was actually a campsite with campsite prices (albeit very reasonable ones). Peniscola seems to have lots of cheapish campsites and although it’s an established beach resort, is not without its charms. There’s an absolutely huge stretch of sandy beach and a very pretty old town complete with hilltop castle as well as the usual resort distractions. We didn’t expect to love it, but we were surprised by how much we liked it. This was a totally unexpected find and turned out to be a real highlight. 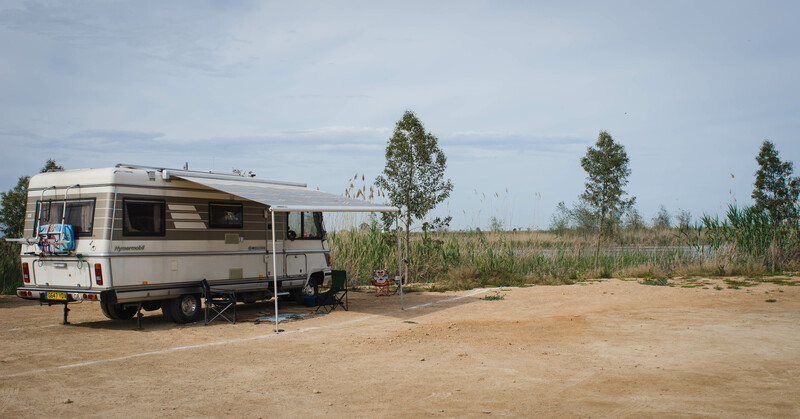 The Ebro Delta is a fascinating place and the visitor centre, complete with camperstop, has plenty to offer everyone; a fantastic restaurant, punting, museums, wildlife watching, boating, cycling and plenty more. 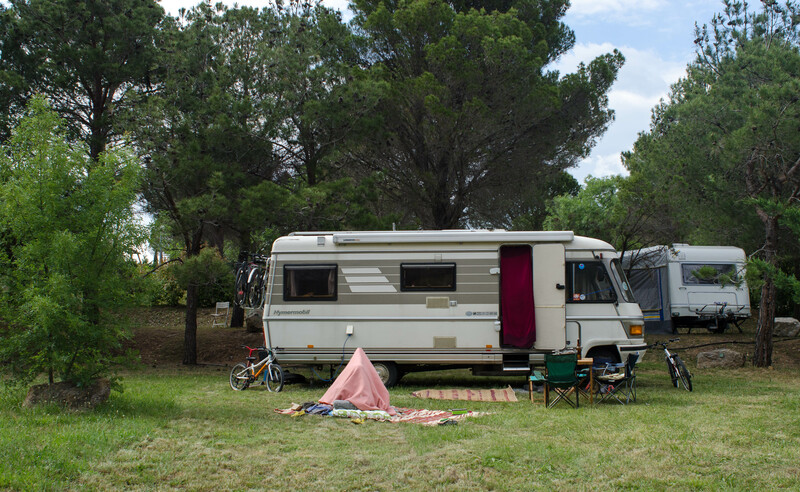 The camperstop is fully catered for and costs around 5 euros a night. There’s plenty of space and you can spot rare and exciting birds from the comfort of your van! One of the best camperstops we stayed at. 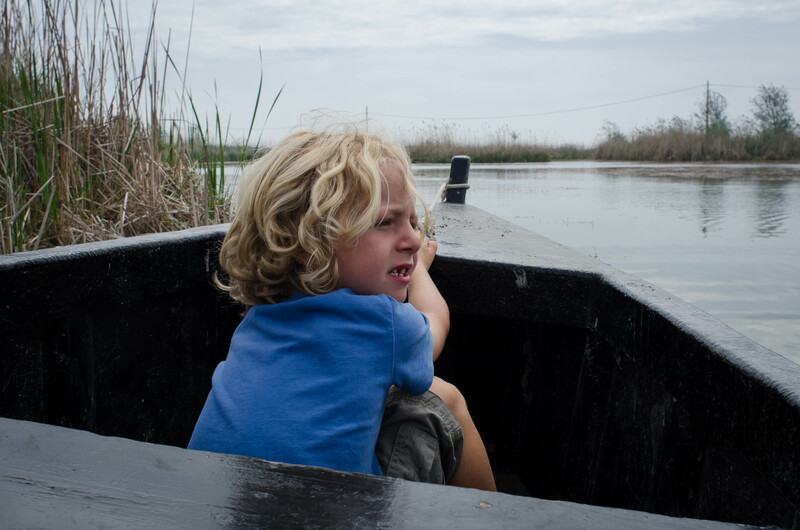 You can read more about our visit to the Ebro Delta here. 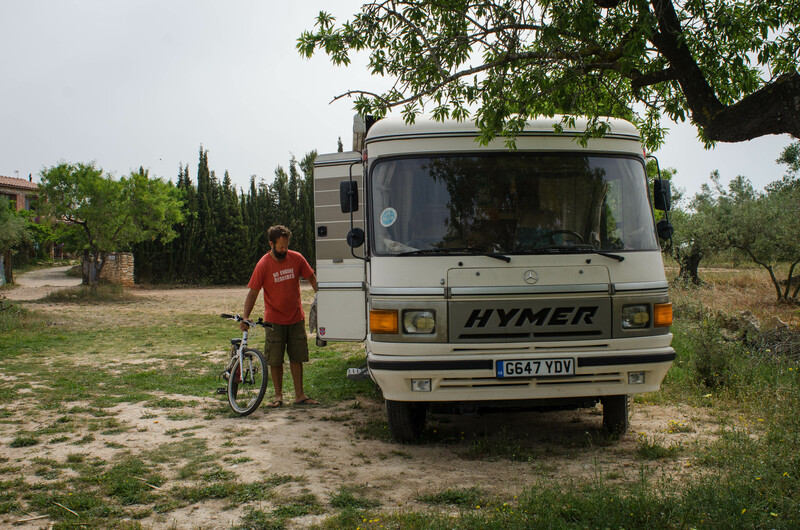 We gave Colin (our van) a break for a week while at Finca Slow and stayed in a tent on the land. 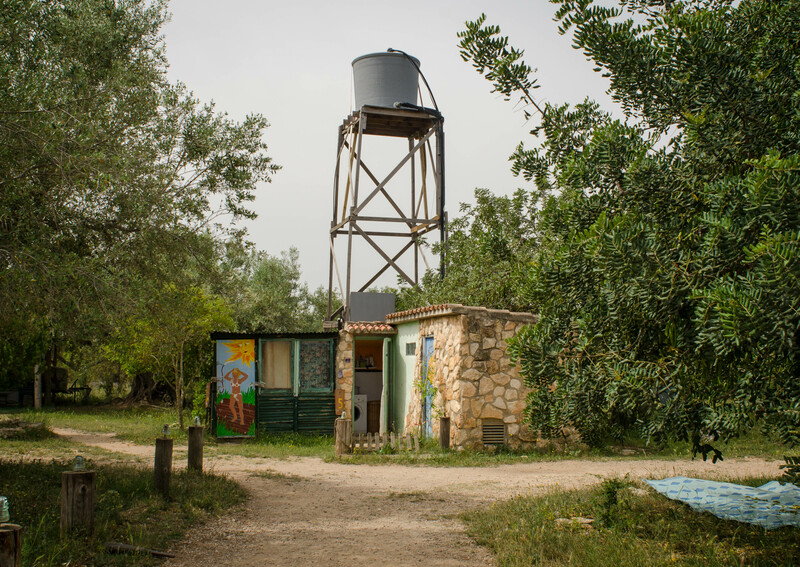 Finca Slow is a regenerative olive farm, working to find new ways for people to cultivate crops in the Mediterranean without depleting resources. Amongst the olive and almond trees, the waving grasses and the simple routines of every day life on the land we fell under a spell that doesn’t seem to want to let us go. 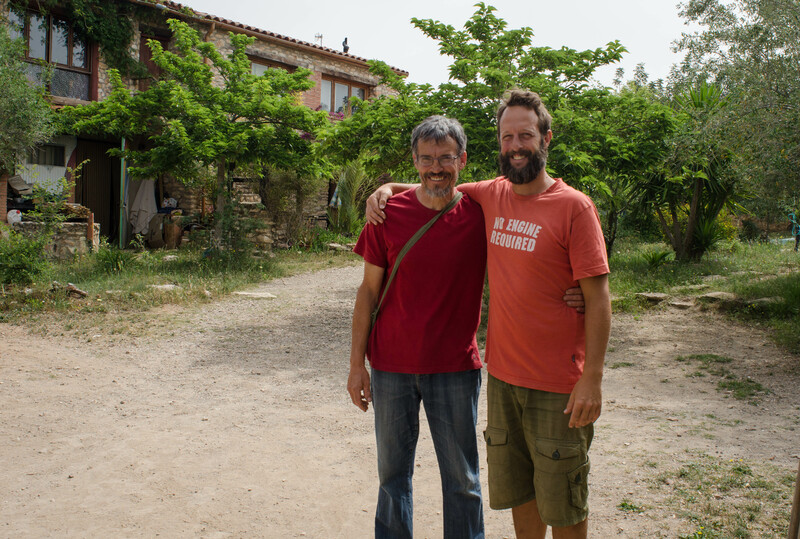 I haven’t yet written anywhere about Javi and Mar of Les Esplanes which feels a bit wrong as we had such a lovely stay with them. Their home is a mix of nature classroom, sustainability model and farmyard. Javi built their house pretty much stone by stone and has seemingly continued with Herculean persistence to dream up eco-projects and realise them. While we were there we helped him fill wire cages with rocks which were to be the foundations for an enormous bamboo structure which was to act as classroom and communal building. 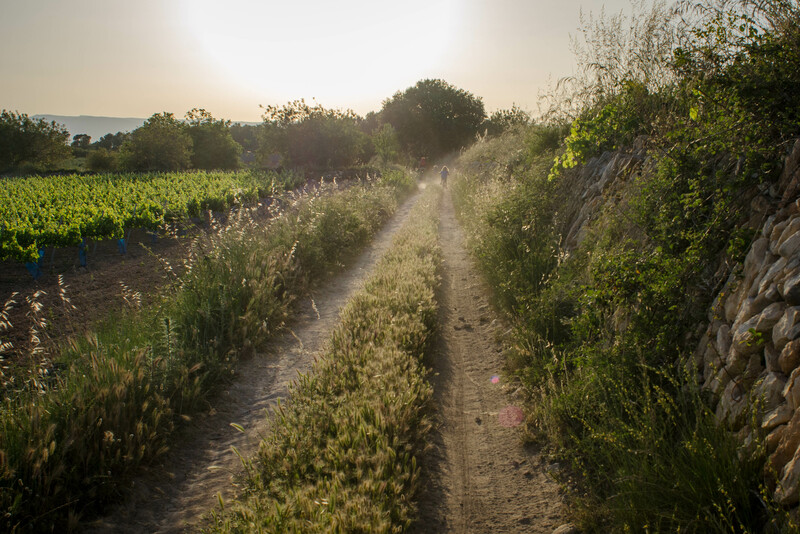 The nearby countryside was perfect for cycling and we managed to find real peace for the few days we were there – when not working we read and sang, told stories and rested. It was great too to be around a fellow unschooling family and hear how it all worked for them. 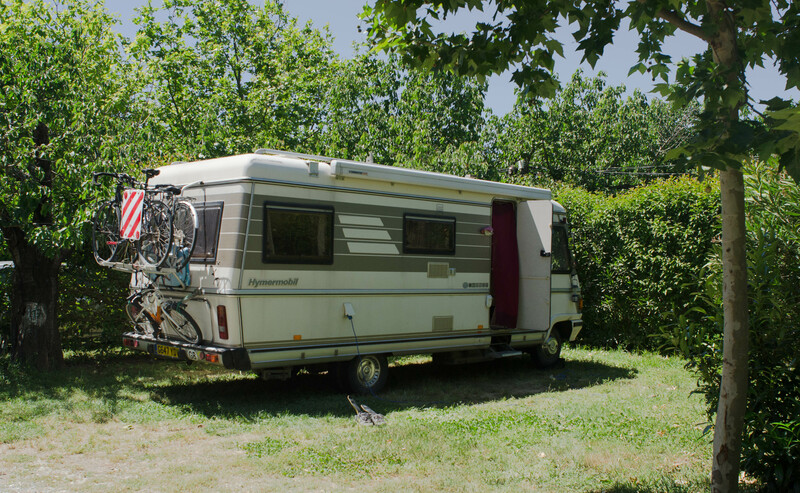 There are various workshop weekends that happen at Les Esplanes and they have quirky accomodation for people going to help with their fantastical projects. 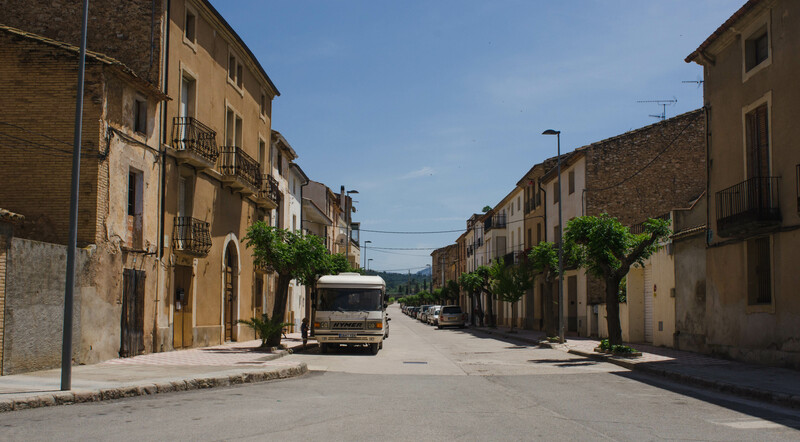 The town of Quart near the border with France is fairly unremarkable at first glance and the camperstop is no more than a car park with a service area. Venture a little way out of the town though into the surrounding landscape and there were marked trails, mountain bike tracks, fields, woods and wildlife aplenty. Just goes to show that the most unassuming of places can contain a world of treasures if you just scratch the surface a little. 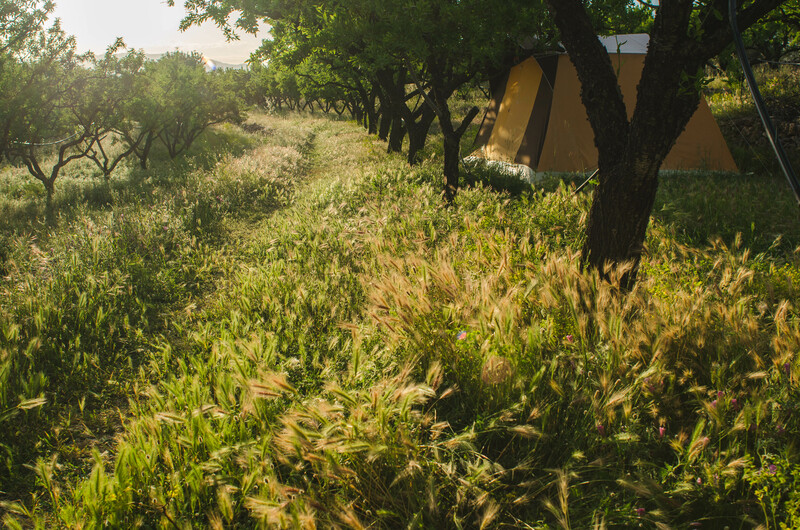 A campsite full of cherry trees! And we were there while they were fruiting, oh how happy the boys were stuffing their mouths with them constantly. The campsite was lush and green, with grassy pitches and established hedges surrounding each one. After the spiky dryness of Spain, it was a wonder to be amongst such effusive greenery. Hmmm. this was a very brief stopover and my memory of it is that it was rather bleak. It was right by the sea though so I’m sure had the weather been less windy it could well have been a pleasant enough place if slightly overpriced at 8 euros a night. 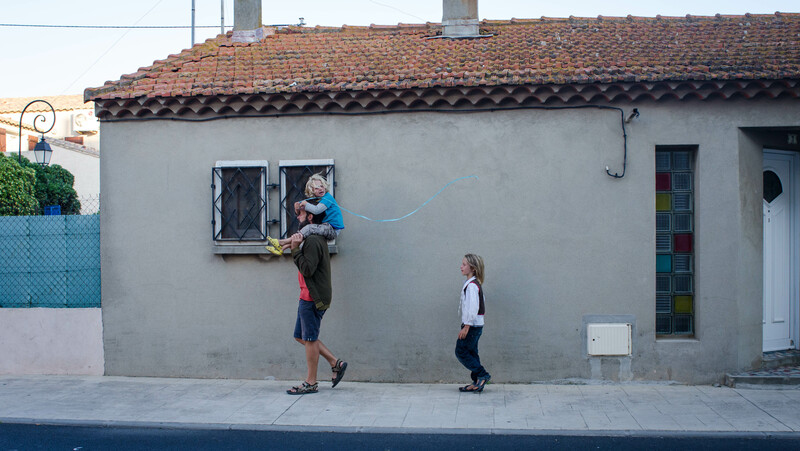 I really loved Gruissan, mostly because we visited during a festival and got to dance in the streets with ridiculously cheap plastic beakers of wine. My opinion of the aire therefore may be somewhat coloured by the general celebratory atmosphere of the whole town, including those staying at the aire. It’s a big parking spot and situated within a marina so it’s busy and bustling and has a footpath running around the outside. It’s not cheap at around 10 euros a night but there are some very basic loos provided. 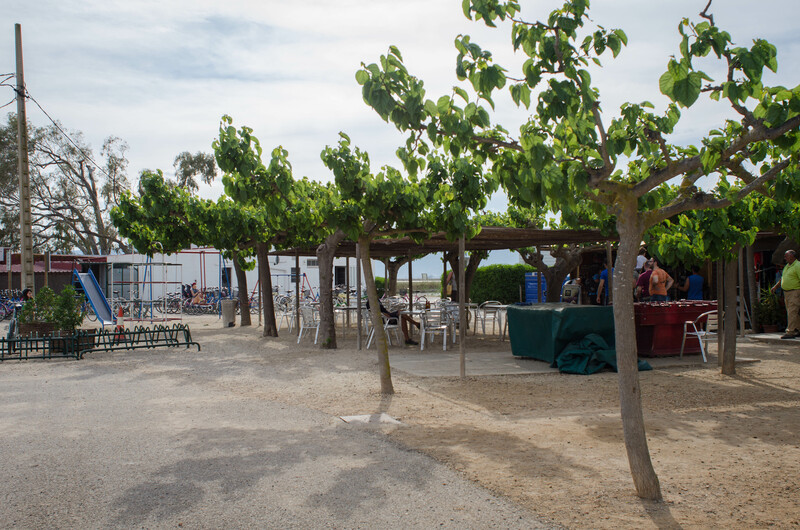 Such a sweet little campsite with views of the surrounding vineyards and gentle hills. The pitches are grassy and there seemed to be shady pitches for the summer months. The facilities were good and the wifi was quite exceptional; so good in fact that we watched almost an entire series of Broadchurch in one sitting. 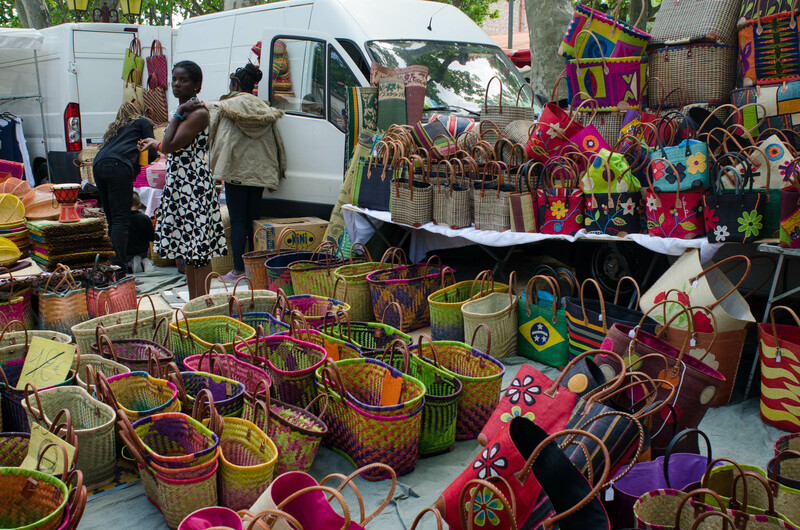 St Chinian itself is one of those very pretty towns that you find all over France with a fantastic market and plenty of places to buy wine. 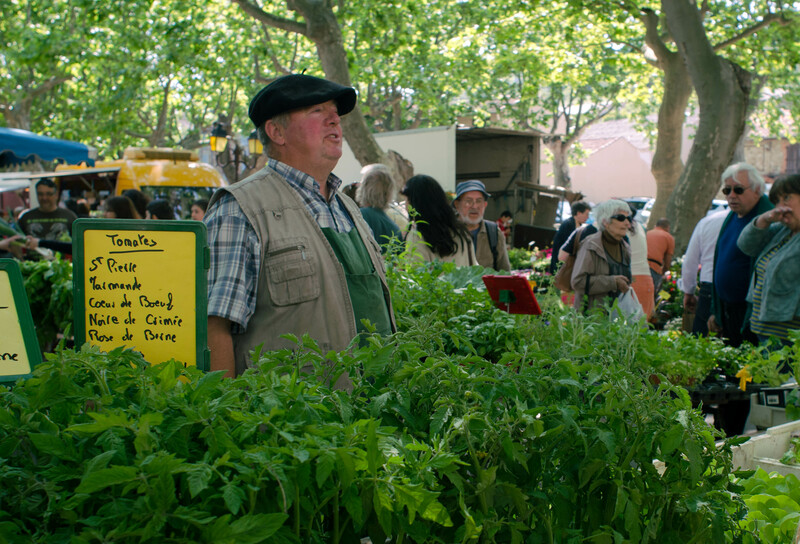 Just watch out for the silver tongued fromage sellers, or you might end up spending more on basil infused cheese than you bargained for. Selina, you paint such beautiful pictures with your words.